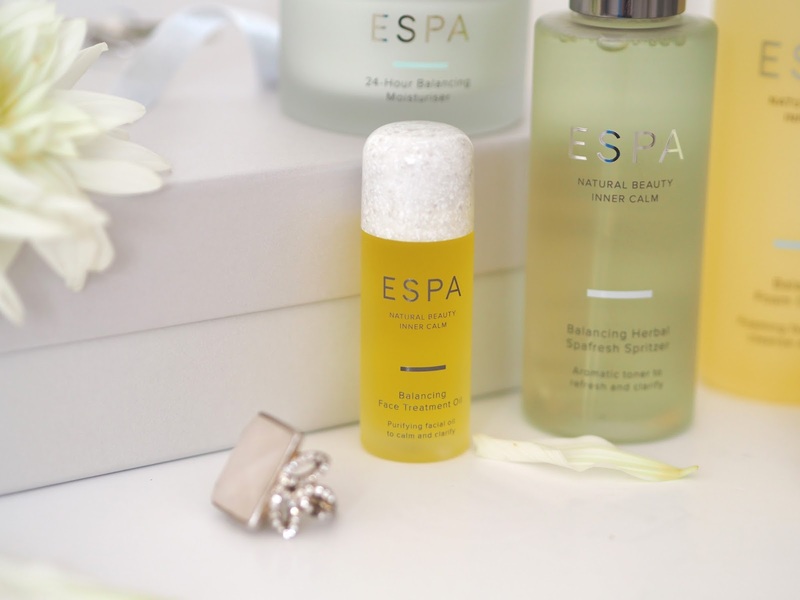 Today I wanted to introduce you to ESPA, a brand of skincare I have loved for about 8 years now but isn't necessarily widely known about - according to my Instagram comments! Well, in my opinion that needs to change because their products are blooming fabulous!! Their philosophy is all about improving your overall wellbeing inside and out. Every product is made with natural plant extracts and just smells like a spa in a jar! 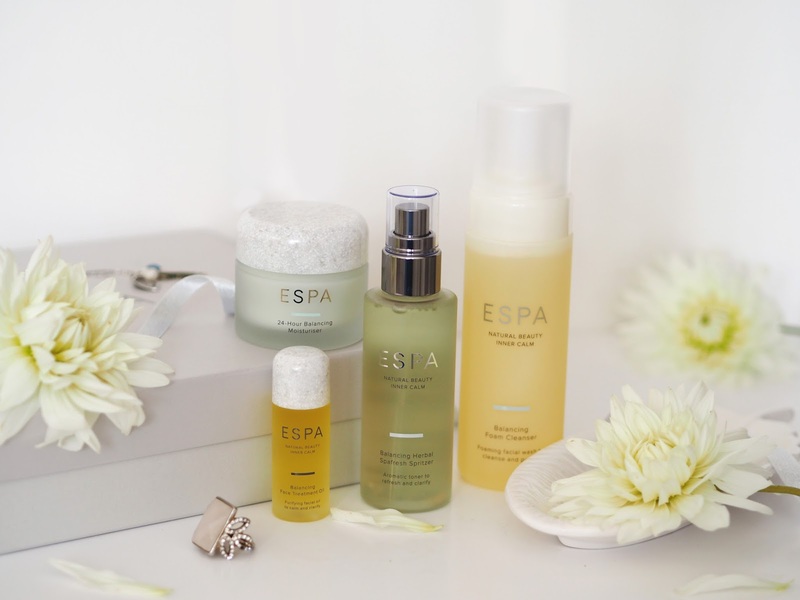 This year ESPA are celebrating their 25th anniversary of creating gorgeous natural skincare! Especially for the Christmas season they have put together collections of some of their best products. This one includes the products to target my skin type, the Balancing Collection aims to restore & maintain harmony in oily/combination skin for a clear & balanced complexion. All in a pretty gift box tied with a bow so just asking to be popped under tree for someone special! 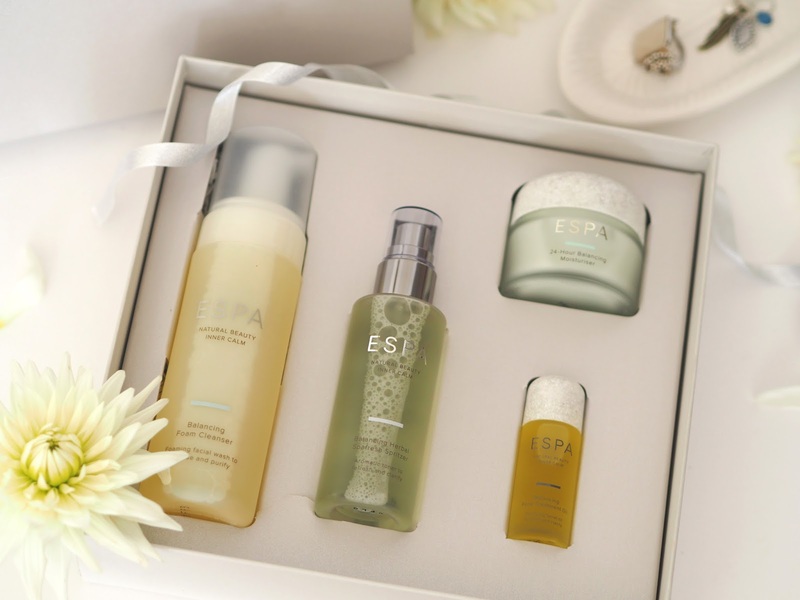 This full collection is worth £116 but you can get it from ESPA for just £50 right now! Every time I open a lid of an Espa product it reminds me of the first ever facial that I had. I was about 19 I think and I'd just joined my local gym, I saw an offer on in the spa area there and thought I would try a facial! It was so much more amazing than I had expected. 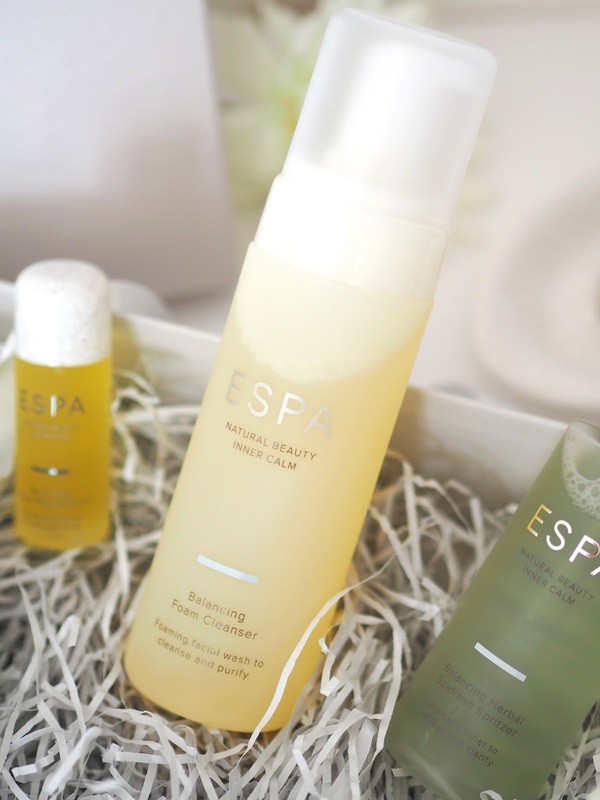 The therapist used ESPA and this is where my journey into discovering high quality products to help my bad skin began. Even now each time I smell one of there products it immediately makes me feel incredibly relaxed and calm. 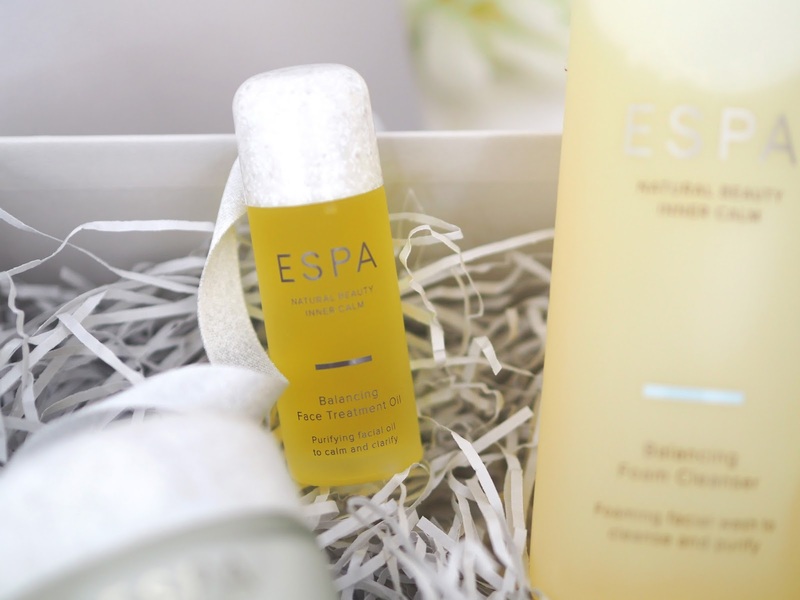 I've had quite a few different facials since but to this day I would say ESPA facials are my absolute favourites! Balancing Foam Cleanser | This cleanser is pumped out as a foam designed to balance natural oils to remove make up & impurities. Ingredients include gentle coconut, naturally foaming yucca to deeply cleanse, organic mandarin for balancing plus olive oil and sugarbeet to nourish and soften. I tend to use this in the morning as I like the awakening scent. Balancing Herbal SpaFresh | I think this was the first toner I ever used that I actually liked and didn't feel as though it was stripping my skin! This toner is enriched with essential oils and flower waters. The ingredients include peppermint to refines pores as well as witch hazel and elderflower for maintaining the skins natural pH balance. 24 Hour Balancing Moisturiser | This moisturiser is designed to gently balancing the oils in your skin whilst also hydrating & clarifying. Ingredients such as white thyme help to balance, lavender calms and chamomile soothes. Interestingly I read that it contains Irish moss which is a nutrient rich plant extract that moistures and protects your skin without clogging pores! I love this moisturiser, it's my go-to one in the mornings as it's light weight and makes a good base for make up as it stops my oiliness coming through for most of the day. Balancing Face Treatment Oil | A facial oil that will balance excess oils and boost hydration levels. Lemon & Rose Geranium leave the skin soothed, and clarified. Other ingredients include jojoba and avocado oils for nourished skin that feels soft and supple. I generally use this in the evenings when I'm doing my skincare routine before bed. However if I feel like my skin needs a bit of a boost and I'm having a no make up day (which I do more days in the week when I'm working at home) I add a little drop in the mornings too. Do you remember your very first facial? 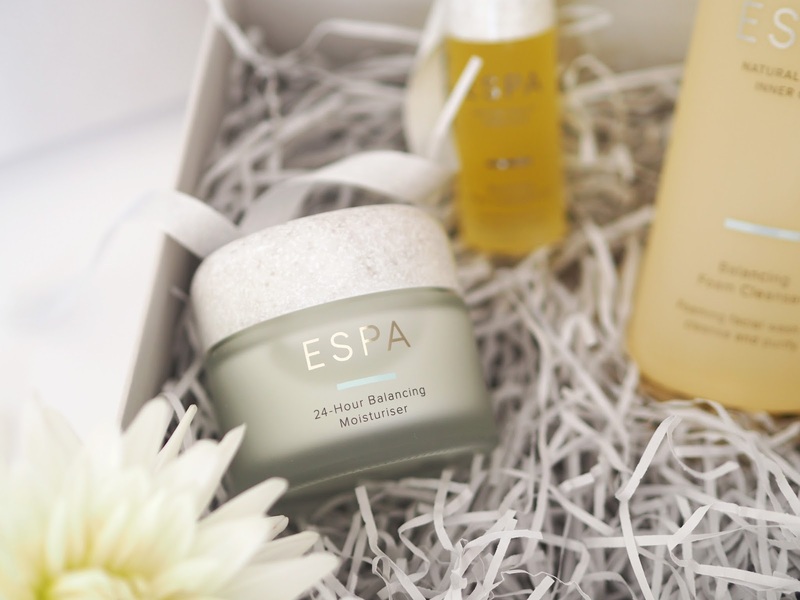 Have you tried any ESPA Skincare before? If so let me know which products are your favourites! I've never heard if this brand before!